SAN FRANCISCO – For Leah Rosenberg, San Francisco’s distinctive physical and cultural landscape is filled with color inspiration. From the fog to the famous International Orange of the Golden Gate Bridge to the bunches of kale at the Ferry Building’s farmer’s market, these details create a palette that captures the unique character of San Francisco. 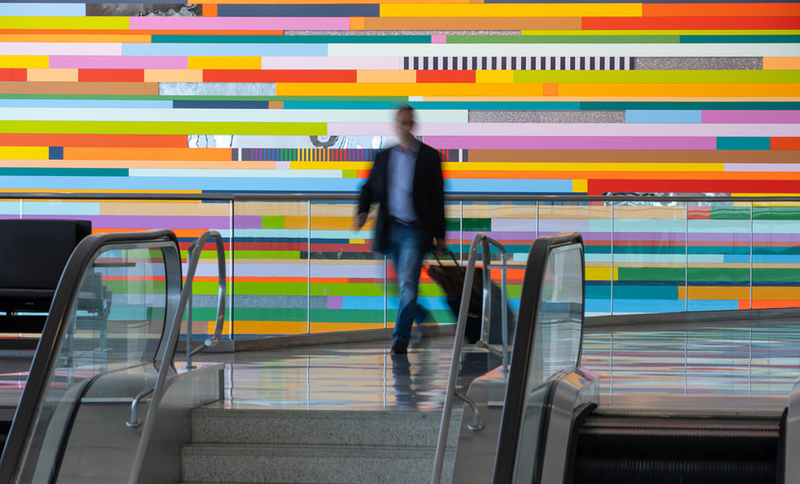 For her installation, Everywhere, a Color, at San Francisco International Airport’s International Terminal Gate G, she created a colorful portrait of the City that she hopes will “connect everyone from everywhere”.